Modwrap.com is offering World’s first online printing facility on packaging goods. The users can print online on packaging goods with the help of few simple steps. The users can print online on packaging goods like plastic shopping bags, Clear Polythene bags, Zip lock bags, Clear Resealable bags, VCi bags, Anti-static bags, Shrink films, stretch films, mail order bags, Paper shopping bags, promotional bags, etc. Based on the quantity of packaging goods, We print it with Screen Printing, Flexo-Graphic Printing, Roto Gravure Printing & Offset Printing. We can print maximum 4 colors on one side and 4 colors on another side. I.e. We can print 4 + 4 printing job. The user has to select the side of the packaging goods on which he want to print. It can be One Side or Two side. If a user want to print on one side of packaging goods then he has to select Single side. If a user want to print on both side of packaging goods then he has to select Both sides. In case a user selects Single side printing then he has to choose the sides of printing. Ie. Front side or Back side. In case a user selects Both side printing in Page Mode then he has to work on both sides as guided by the site. The user can choose design from Modwrap Pre- Design Gallery. The user will not be charged for the development cost. The design size, Number of colors, Color Type is pre decided in this category.The user has to choose the position of the design on the packaging goods. The previous shopping design will come under this category. The user will not be charged for the development cost under this category. The design size, Number of colors, Color Type is pre- decided by the user in the last order. The user cannot change it. The user has to choose the position of the design on packaging goods. The user can upload new design under this category. The user will be charged for the development cost of the design depending on the sides of printing, design width and length, Number of colors. The user has to choose the position of the design on packaging goods. The user has to upload the image of the design in Jpeg, jpg, Tif, Png, Gif format. The user has to choose the number of colors to be printed on the design in case of new design. After that the user has to choose the color from the color plate. If the user choose printing on one side of packaging goods then the user can print maximum 4 colors on any side. But if the user chose to print on both sides of packaging goods then the user can print maximum 3 color on either side and 1 color on the other side. The user cannot choose the number of colors and colors type from the color plate in case of Modwrap Pre-Defined Gallery or My design. The user has to choose the position of the design on the packaging goods. The user can choose from 9 positions on the packaging goods. Also, The user can select all over printing on the packaging goods. The user can rotate the design on the packaging goods in case of new design only. The user cannot rotate the design in case of Modwrap pre defined gallery or My design. Modwrap.com offers printing on packaging goods. It’s very amazing to print your logo, design, warnings, your company name and address or any promotional wordings on the packaging goods. Modwrap.com does not offer Half Tone printing or any Picture in which very high resolution printing is required. As this kind of prining job requires bulk quantity to print. Modwrap.com can undertake this printing job in the offline mode. If the user still transacts with the printing job mentioned in this point. Then Modwrap.com reserves the right to cancel the order and the money will be returned to the party by deducting the transaction fees, Delivery charges and other miscellaneous expenses incurred in completing the transaction by us. The printed task on packaging goods will take maximum 10 days in completing the order. In case of any complications in the designs or any design which is not in understandable format then Modwrap.com reserves the right to cancel the order and the money will be returned to the party by deducting the transaction fees, Delivery charges and other miscellaneous expenses incurred in completing the transaction by us. Also, Modwrap.com has the full right to give the reply to the user asking to clarify the design size, style, color, position or any other format which helps to complete the order. If the user does not give the reply within 10 days from the date of sending the mail then the order stands cancel or it will be deemed to delay 10 days from the date of receiving the right reply (understandable format) from the users. The color plate mentioned in the choose your design color option does not guarantee in matching the user’s design color. We try the best level to match the Modwrap.com color with the user’s design color. The positions mentioned in the choose your design position does not guarantee in matching the user’s position. To reach to the maximum level of accuracy we have defined 9 positions along with all over printing option but the site does not guarantee the actual position of the design on the packaging goods inch by inch as thought by the user. The development cost of the design on the packaging goods is calculated on the basis of page sides i.e Single Side or Both Side or Both, Design width and length, Number of colors and color type, Design positioning. If the user gives the order for new design then he would be charged for the design for the first time but in next order he will not be charged for the development cost. Also, The development cost is nil in case of Modwrap pre- defined gallery. In the case of new design uploaded by the user, If the font used in the design is not in understandable format or font is not available with us then Modwrap.com has the full right to cancel the order or give the reply to the user asking to clarify the design font or send the font type via email to sales@modwrap.com which helps to complete the order. In case of order stands cancel by Modwrap.com then Then the money will be returned to the party by deducting the transaction fees, Delivery charges and other miscellaneous expenses incurred in completing the transaction by us. If the user does not give the reply within 10 days from the date of sending the mail then the order stands cancel or it will be deemed to delay 10 days from the date of receiving the right reply (understandable format) from the users. 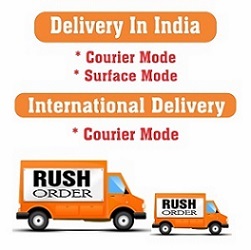 In case of delivery of order, If it is not reached to the user on the time mentioned in the site then the user cannot demand the refund of money. Also, The Modwrap.com shall not be liable for any damages incurred by the users in spending time on the site or dependency on the site or Transportation incurred in transporting of goods, money spend on printing online. Modwrap.com has worked out on every possible parameters which helps the user to print their design to the best of their expectation but if at any time, Modwrap.com does not give you the desired results of printing or the results are not upto the expectations then the user cannot demand the refund of money. Also, Modwrap.com shall not be liable for any damages incurred by the users in spending time on the site or dependency on the site or Transportation incurred in transporting of goods, money spend on printing online.